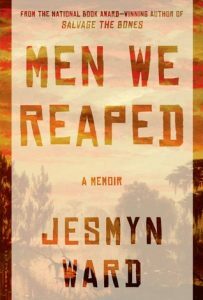 Crafted in near-novelistic style, Men We Reaped may tempt you to forget that the vivid vignettes are from National Book Award winner Jesmyn Ward’s own life rather than from her imagination. Even if so, the poignancy with which she describes the abrupt loss of five young men in a period of a few short years will reveal that this is a writer who knows tragedy firsthand and, even more dishearteningly, knows the struggle to believe that their lives matter to others. Narrator Cherise Booth is an ideal partner for Ward’s prose, reading with grace and conviction. She skillfully toggles among characters and tones, never losing sight of the harsh truths of the author’s personal experience. Her performance underscores the resignation, strength, uncertainty, and stubborn hope that make this layered, lyrical memoir unforgettable.